Nicaragua will hold general elections in November of this year, with the political outcome already predetermined. The incumbent President Daniel Ortega, will run virtually unopposed in an unprecedented consecutive third term. Since 2000, the country’s constitution has been changed or construed three different times, to the benefit of Ortega. The democratic institutions of Nicaragua have mostly been subordinated, to the interests of the President and his wife. The trappings of a dictatorship have already begun. 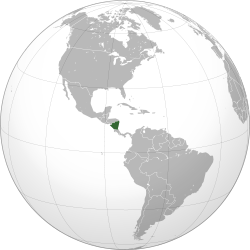 Nicaragua with a population of just 6.15 million, is the least developed country in Central America. The economy is primarily agriculturally based. The country is the second poorest country in Latin America by nominal GDP (Gross Domestic Product). 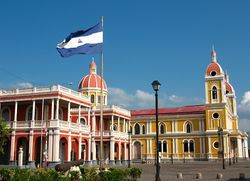 The Colonial City of Granada near Lake Nicaragua is one of the most visited sites in Central America. Remittances from about one million Nicaraguans, provide about 15% of the GDP of the nation. GDP in 2015, was equal to $12.69 billion USD (United States Dollar). GDP per capita is $1849.03 USD. The main trading partner remains the United States. About 60% of exports are apparel and textiles. However, Nicaragua is now losing its competitive advantage, due to the recent state mandated minimum wage increases. Politically the country is moving towards a one party state, as President Ortega continues to consolidate power. Seal of the National Assembly of the Republic of Nicaragua. The National Assembly voted in January 2014, to change the constitution that would undue the two term consecutive limit for presidents. The new proviso allows indefinite tenure, at five year intervals. This stipulation will provide the legal basis necessary, for a another term with President Ortega. The alteration was approved by a vote of 64 to 25. The 2014 modification of the constitution, also scrapped the previous electoral rule, that the winning candidate must have at least 35% of the vote to become the president. In Latin America, Nicaragua will now join the nations of Cuba, Ecuador and Venezuela in permitting indefinite re-election, without a period of time where they must be out of office. The countries of Chile, Costa Rica, the Dominican Republic, El Salvador, Panama, Peru and Uruguay all permit endless reelection, but not consecutively. The main reason behind this exclusion, is the fear many legislators have in possibility of a future dictatorship. There are real doubts among lawmakers, that democratic institutions inside their own country, are stable enough to resist a strong executive branch. It is interesting to note, that the Congress in Colombia is currently debating a bill submitted by President Juan Manuel Santos, to end presidential re-election. Meanwhile, Honduras is moving in the opposite direction. The Supreme Court there ruled, the ban on presidential re-election is unconstitutional. In an effort to quiet dissent against President Ortega in his quest for a third successive term, the Supreme Electoral Council of Nicaragua discharged a total of 28 opposition legislators from the Congress. It includes 16 actual members and 12 alternates. These legislators belonged to the Independent Liberal Party (PLI) and its ally, the Sandinista Renovation Movement. They were removed for refusing to support the appointment by the Supreme Court of Pedro Reyes, for the PLI presidency. He is politically more in line with President Ortega, who insisted that he be put in that position. This event and others, strengthens the majority President Ortega already enjoys in the National Assembly. Another aspect of the increasing power of President Ortega, is the appointment of his wife Rosario Murillo as his running mate. First Lady Rosario Murillo sitting to the left of her husband, Daniel Ortega. Murillo holds full control over all the government offices of the Ortega administration. She also controls any interaction these agencies have with the media. In addition, she holds a great deal of power within the political party of the president. The constitution states that this is illegal, family members are not eligible to be Vice-President, but supporters of the President insist this means blood relatives only. Daniel Ortega originally came to power in 1979, when he headed the revolutionary committee that governed Nicaragua. This had followed the overthrow of the Somoza family, which had dominated politics and the economy of the country for four decades. Before then, Ortega had spent seven years in jail. This had happened, because he was convicted for robbing a bank. At the time, he ordered anyone who stood in the way of the theft to be killed. This gives a clear indication that President Ortega can be ruthless, in pursuit of his objectives. It also shows he has little respect for laws, when they contradict with his goals. Inspired by the example set in Cuba, the Sandinistas began the process of a redistribution of property. There were also major reforms in the funding for education and health. These popular efforts paved the way for the first presidency of Mr. Ortega. His tenure lasted from 1985 to 1990. 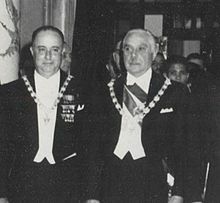 The political connection with the Cuban government, brought almost immediate opposition from the United States. The American government soon adopted an embargo and later armed subversion. A counter insurgency inside the country, would later receive assistance by the United States government. 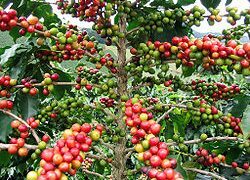 Coffee is one of the most important exports of Nicaragua. 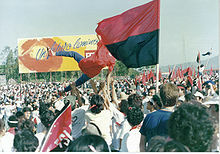 Mr. Ortega would lose power in the 1990s, as his party was unable to win further elections. He would only return to the Presidency in January of 2007, following the conclusion of a successful campaign by the Sandinista National Liberation Front (FSLN). He has since joined the Bolivarian Alliance for the Peoples of Our America (ALBA) and forged an alliance with former Venezuelan President Hugo Chavez. He still maintains a strong association with Nicolas Maduro, the present embattled leader of Venezuela. Ortega has financed his past election campaigns with money originating from Colombian drugs and Venezuelan oil. President Ortega is holding a strong lead in recent polls, recently measured at 58%. His next competitor Maximino Rodriguez, is only garnering 4.7% of the electorate. Over a quarter of the population, prefers not to answer who they support. This may be an indication, that a growing segment of the electorate is feeling increasingly intimidated. A FSLN party deal in 2000, had changed the Constitution on what percentage a presidential candidate needs to get, in order to avert a potential runoff. The previous 45% benchmark was lowered to 35%, with a 5 point margin. 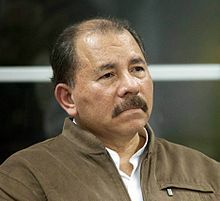 It is important to note that Ortega only received about 38% in the 2006 election, which allowed him to return to the presidency. His opponents had split the remaining vote share. As a result, Ortega is likely to win in November, the result of having the main opposition candidates barred from holding office by a pliant Supreme Court. The opposition in response, is claiming that the President is attempting to create a dynastic dictatorship. They are calling on a voter boycott, in the upcoming election. The assertion is the entire political process, has become fraudulent and is an electoral farce. Managua, the capital of Nicaragua at night. Worse yet, the President is not going to permit international observers during the voting process. In addition to the political manipulation, President Ortega and his wife have been accused of becoming fabulously wealthy through tax evasion and large bribes from state enterprises. Ortega has consistently promoted mixed business initiatives, owned by both the Nicaraguan and Venezuelan state oil firms. The rule of law is weakening throughout the country. Government interference and corruption is undermining the investment climate, for both domestic and international companies. National Palace in Managua, the National Museum. Nicaragua remains quite dependent on international economic assistance. This is the only way the country has been able to meet internal and external debt obligations. Large budget and trade deficits have been systematically a problem. The country also suffers from high overall sovereign debt. Foreign donors began to wane, following the electoral fraud in 2008. Luckily for President Ortega and Murillo, the Nicaraguan economy is expected to grow by 4.5% in 2016 and 4.3% in 2017. The economic growth and populist policies have supposedly given the FSLN and its leader, widespread support among the citizenry. It is unlikely there is any real support from abroad, to take action in preserving democracy in Nicaragua. Given the ongoing slowdown in the global economy and a bevy of other more pressing international issues, an outside intervention in this part of the world remains improbable. Previous Post → India: Turning The Corner On Investment And Economic Reform?